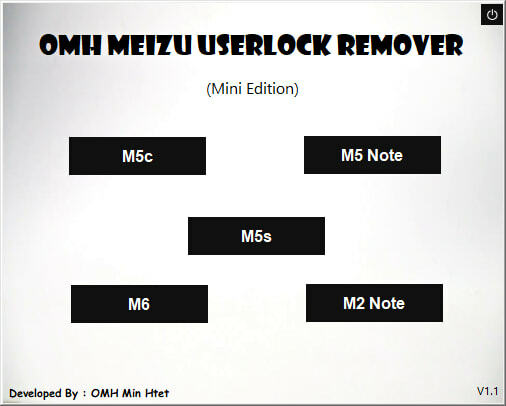 OMH Meizu User Lock Remove Tool - M5c, M5 Note, M5s, M6, M2 Note. OMH Meizu Tool is a small application for windows computer which helps you to remove pattern lock user lock screen pin password from M5c, M5 Note, M5s, M6, M2 Note . 2.Open OMH Meizu User Lock Remove tool.